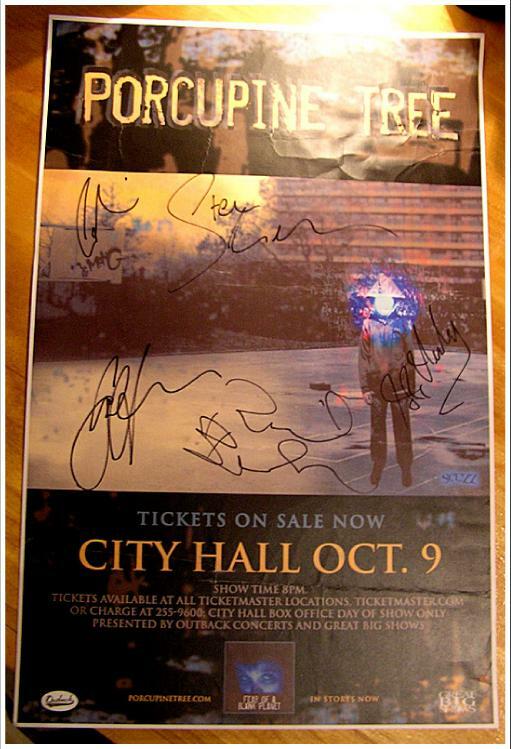 As I mentioned on the Alice In Chains page, one of the percs of working for a concert promoter is getting the chance to create artwork for artists I love and Porcupine Tree is one of my favorites. 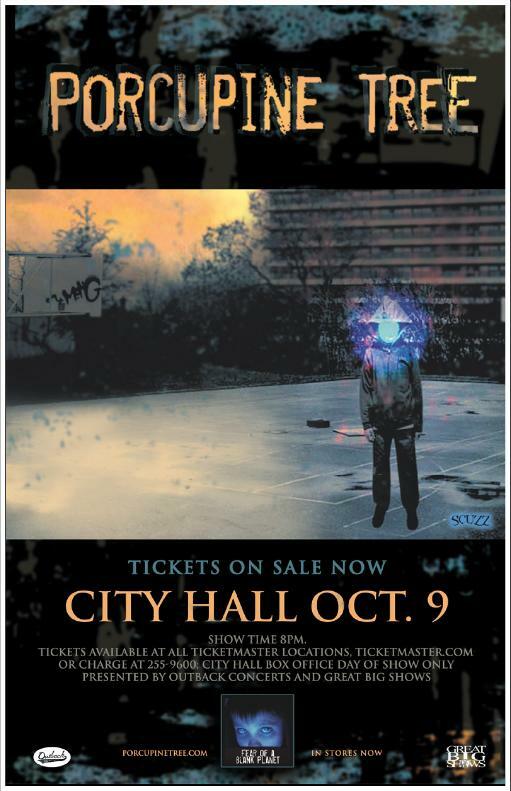 This street poster and newspaper ad for a show in Nashville features a really haunting image by Scuzz. My signed copy is below.